The damage formula is 0.8 * ( (Item_Level ^ 1.3) + 9 ) where the Item_Level is generally two more than the displayed level requirement; base level requirements for each quality value are listed on the Manufacturers page. 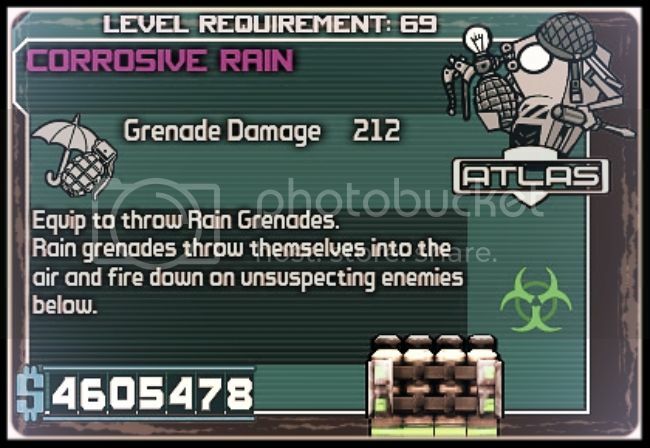 Note that unlike weapons or shields, grenades have no damage modifiers; to get maximum damage in a grenade mod, just set the quality to 5 and the level to 71. Unlike traditional weapons, grenade mods only have one manufacturer tier. Using a value above _1 will result in a low quality, broken weapon. Adding elemental effects to transfusion grenades does nothing.